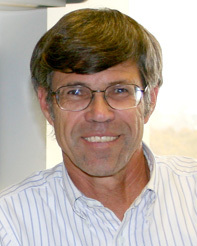 Wayne Pfeiffer studied math, physics, and nuclear engineering in college and graduate school. After obtaining a PhD from Caltech, he joined General Atomics where he did research and development related to nuclear fission and fusion. Subsequently he helped found SDSC and served as a department manager and deputy director. In recent years he has been doing research in computer performance analysis and bioinformatics. Besides his work, he enjoys outdoor activities such as running, cycling, mountain climbing, and skiing.